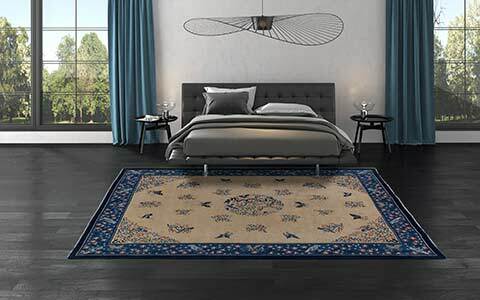 With the Sathi Collection, the rug manufacturer Mischioff is adding attractive home accessories with a comparatively coarser weaving to its range. 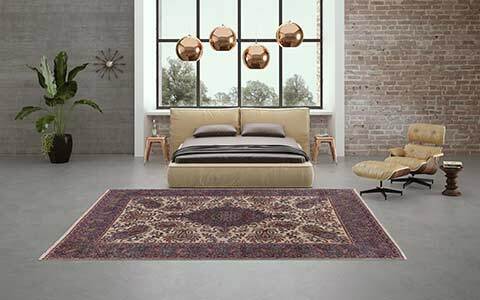 The latter brings a particularly natural charm and ensures that these designer rugs can be produced faster and therefore be offered at cheaper prices. 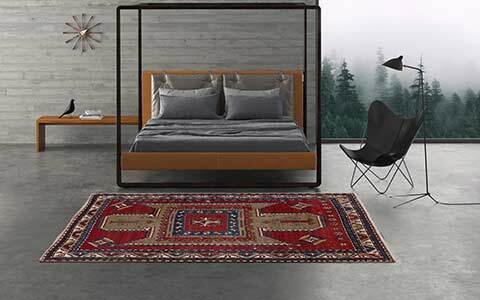 Mischioff's rug of the month C3484-X324 skilfully stages the individual character of natural Himalayan highland wool. Read here why it pays off to look at the bestseller of the Sathi Collection. In times of increasing digitalization, the desire for real values is great. Access to nature also gains in importance because it conveys calm, balance and vitality. To capture these elements when setting up inviting retreats, natural materials are increasingly being used. 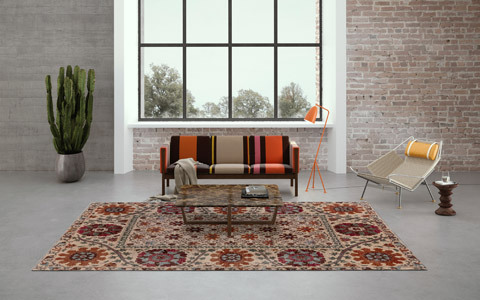 The rugs of the Sathi Collection offer authentic quality to touch. Particularly popular is the design C3484-X324, which is a bestseller within the collection. The high demand is due to the look as well as the feel. Mischioff uses high-quality Himalayan highland wool for its production, which is mostly processed untreated. 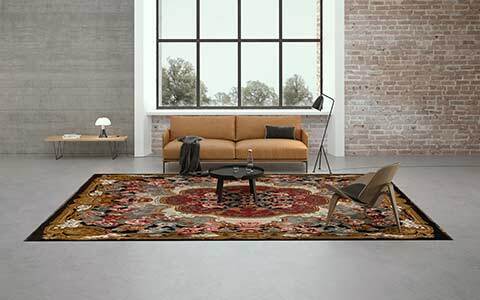 The result is a beautiful carpet with natural woolen colours, each model is unique. Light beige and brown shades alternate and create an exciting, unconstrained structure. 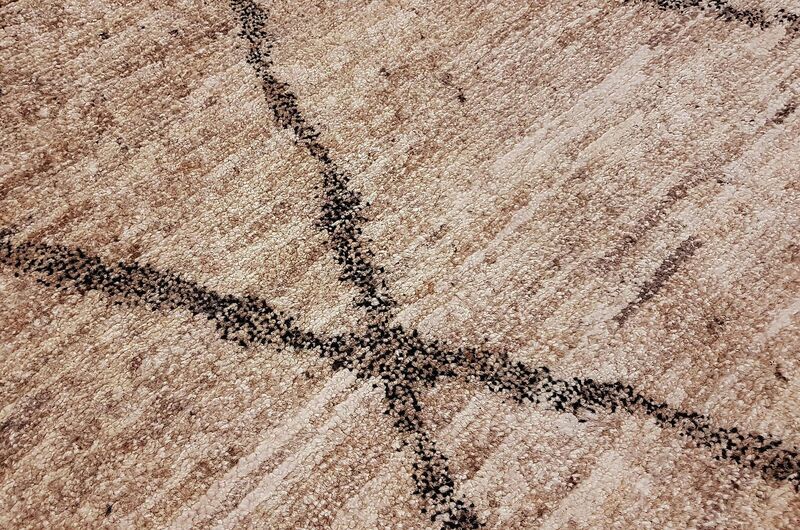 The asymmetrical diamond pattern, which is achieved by a variety of black dots and typical of traditional Berber carpets, completes the design perfectly. The narrow dark lines are a welcome contrast to the bright base of undyed raw wool. Unlike classic Berber carpets, which are deep-pile and shaggy, the Sathi C3484-X324 delights with an even and very gentle pile. 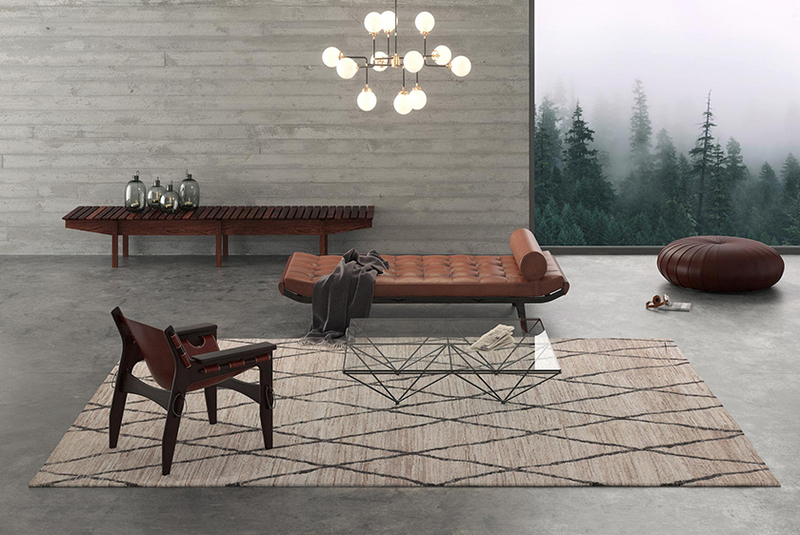 In addition to the untreated quality wool from the Himalayas, the used weave has a decisive influence on the haptic experience that emanates from this designer rug. It feels pleasantly handy and firm, which emphasizes the durability of the product. The high self-weight guarantees resistance to treading and underlines the value. Also in terms of care, the use of high-quality wool is beneficial: it has inherently odor-inhibiting and self-cleaning properties. The material is insensitive to stains and promotes a healthy indoor climate. Transforming Himalayan highland wool into long-lasting designer carpets requires experienced experts with the necessary know-how. An integral part of the Mischioff manufactory are the highly esteemed weavers, who process the selected natural material into exquisite carpets based on given design in their native Nepal. Fair working conditions and the renunciation of substances that could harm people and the environment are a matter of course for Mischioff. The manufacturing of the company is certified with the Fair Trade Label STEP. Independent inspectors regularly check compliance with the relevant standards. With Mischioff products, you promote fair trade and make purchases with a clear conscience. Order Now This Mischioff Bestseller! With the Sathi C3484-X324 you present your customers a perfect fair trade quality and round off your assortment with a special product. 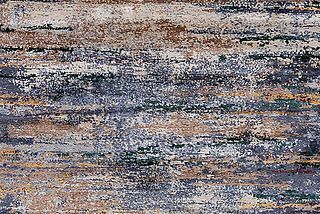 As the most sold carpet of the Sathi Collection, the model brings with it a not to be underestimated potential for the specialized trade. In addition, due to the comparatively rustic weaving, we can produce the design faster and cheaper with around 93,000 knots per square meter. Even individual orders for special projects are available in a few weeks. In addition to the standard dimensions of 300 x 230 and 250 x 185 centimeters, we are happy to produce according to the desired size. Talk to us and tell us your demands! Further suggestions can be found in the current Mischioff catalog 2018/2019. Request now for free! You would like to redesign your home and are interested in the unique pieces from the Sathi Collection? Please check our retailer search and find regional contact persons! Let us advise you and convince yourself of the extraordinary properties of our products! We are looking forward to your inquiry. 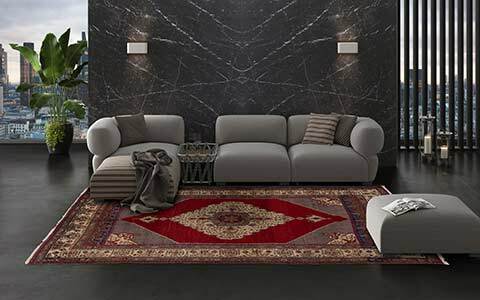 Recommendation for a harmonious interior: The Sathi C3484-X324 is a charming natural carpet that exudes warmth and cosiness. Take advantage of this effect and combine the carpet with the best natural materials such as solid wood, real leather or textiles made of organic cotton! Thus, timeless arrangements result in a harmonious overall impression. Whether you choose a rustic, minimalist or more playful style is up to you. Sathi rugs are true quick-change artists.